One of the banes of my existence is hyperpigmentation, which in my case is hormonal because I've worn sunscreen all year around forever. As a result, I've used various products to try to deal with hyperpigmentation and I can tell you what I've liked the most. Just FYI, you should really use an facial scrub (my favorites are Laura Mercier and Kiehls) and some people also say you should really use retinol with it. Personally, I use some retinol but usually get Roc from CVS. I haven't used CC cream but I might try to see what it's like. 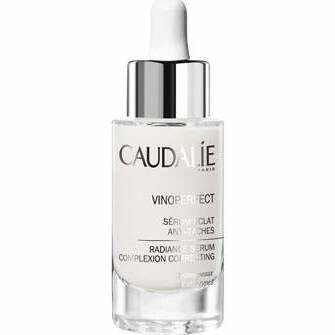 Caudalie Vinoperfect Radiance Serum: This is the absolute best— it's effective very quickly and doesn't use hydroquinone, which can be irritable. It fades spots very quickly and effectively. Murad Rapid Age Spot and Pigment Lightening Serum: Ok. Has hydroquinone which was a bit irritating but generally really did the trick. However, unlike Caudalie, it causes photosensitivity, which can really be a problem in the spring and summer when I spent a lot of time outside and ended up with a new area of hyperpigmentation right between the eyes. Bastards. Origins Mega Bright Correcting Cream: Like Caudalie, I like Origins tendency to use more natural products (and the smell) and it was fairly effective, though not as effective as Caudalie in helping some of the tougher spots to fade. Anyone else have any favored products?